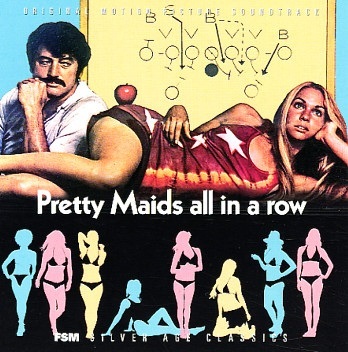 OUT NOW: The complete score to Lalo Schifrin's PRETTY MAIDS ALL IN A ROW - for the first time ever, plus bonus tracks! 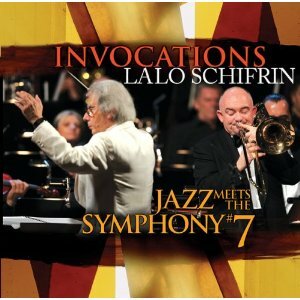 INVOCATIONS, Lalo Schifrin's seventh "Jazz Meets the Symphony" outing recorded live with long-time front man James Morrison and the Czech National Symphony Orchestra in Prague in July 2010. Composer, pianist and conductor LALO SCHIFRIN has made significant contributions to American creative music. Best known for his film and television themes, Schifrin has also had historic impact in jazz, popular and classical music as well. This outline details nearly five decades of Lalo Schifrin's interesting and multi-varied musical career.